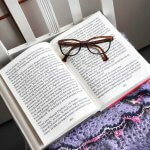 Usually, I have a fairly good memory when it comes to where and when it was that I bought a particular book. I remember buying Killing Me Softly by Nicci French at a bric-a-brac store in Brighton’s South Laines many, many moons ago; I remember happening upon a copy of A Prayer for Owen Meany in a charity shop in Horsham and falling in love with it from the very first page. I remember the books I’ve been gifted for Christmas and birthdays; and the countries in which I’ve been when I’ve bought them; from The Monk Who Sold His Ferarri, which I bought in the bright lights of Denpesar airport when en route to Singapore, to the copy of The Corrections I purchased when perusing the shelves of downtown LA’s The Last Bookstore. But try as I might – and try I have done – I cannot remember for the life of me at what point Helen Macdonald’s H is for Hawk made its way onto my bookshelves. What I do know, however, is that it’s been sitting patiently, and waiting to be read for a while now. 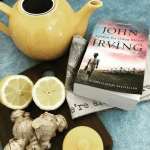 And having been recommended it by a number of friends and fellow bookworms since its publication and consequential win of the Costa Prize in 2014, when in need of a new read last week, I decided to finally give it a go. Written in the wake of her father’s death and the subsequent all-consuming grief that followed, H is for Hawk is Cambridge professor Helen Macdonald’s moving memoir of coping with the loss of her photojournalist father. A book that blends nature writing with a tale of bereavement, Helen Macdonald has managed to fuse the two very different genres quite beautifully. As a professor of both English and ornithology (specifically, falconry) MacDonald weaves a memoir ripe with poignant prose as she recounts her attempt at raising a goshawk. The descriptions of her Goshawk, Mabel, are so vivid that I can see her in all her regal glory and the memoir is cleverly interspersed with a detailed portrait of the patience and care it takes to train a hawk. Within the book, Macdonald also writes a semi-biographical depiction of the author T.H. White, whose book, The Goshawk is both as inspiration and guide for Macdonal’s own training of Mabel. 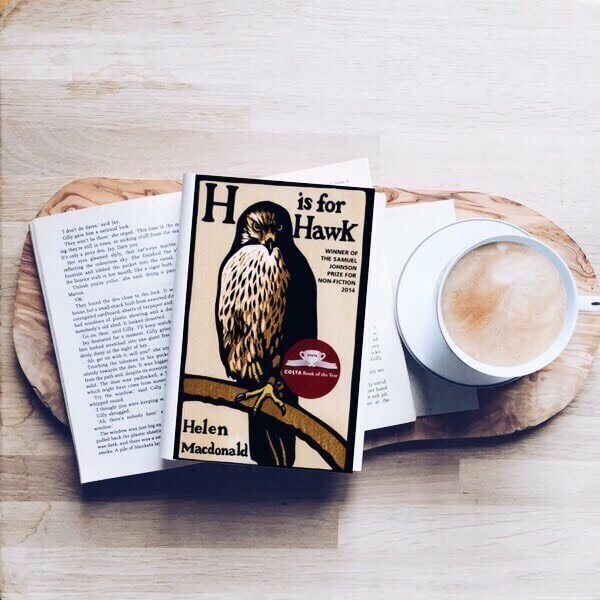 An original blend of memoir, biography and nature writing, H is for Hawk is a moving tale about the healing power of nature, and the redemption, the recovery and the way back to her father in communion with her mourning that the author found through raising Mabel the goshawk. Helen Macdonald is a writer, poet, historian, illustrator and naturalist. She’s worked as a Research Fellow at Jesus College, Cambridge, as a professional falconer, and in raptor research and conservation projects across Eurasia. She is an affiliate of the Department of History and Philosophy of Science at the University of Cambridge. She lives in Suffolk, UK.